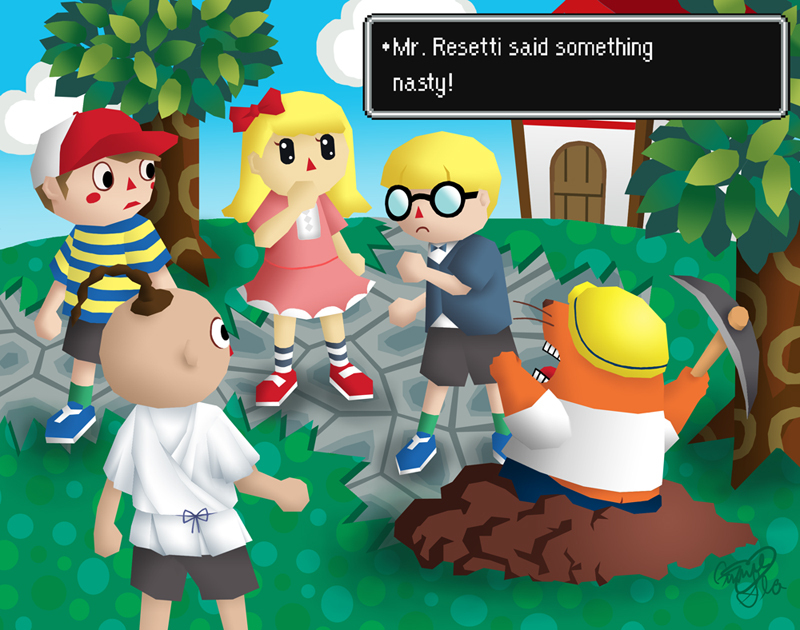 Four Animal Crossing characters in familiar garb, being chewed out by Resetti. This design of the Ultimate Chimera takes after my comic called Adventures of Birdy and Chimera. These guys are given out at special occasions only! I don't usually like to copy a style stroke for stroke like this, but I learned a lot from replicating and modifying this image from the original Elite Beat Agents artwork. Apologies for teh big; I wanted to minimize the detail lost.